Ai Wewei's exhibit in the German Pavilion. All photos by Geren Lockhart. When you're surrounded by hundreds of exhibits at the Biennale, it's easy to give up and go for an aperitivo. Self-professed art brat and Popupla contributor Geren Lockhart gives us the ins and outs of the 55th annual art festival, which closes in November, and hammers out a list of must-see exhibits and best places to recharge. VENICE – Earlier this year, I was lucky enough to experience two very important life firsts: my first trip to Venice, Italy and my first Biennale. I quickly threw caution to the wind when I walked into my Grand Canal fronting room at the , where on the spot I decided to double the length of my trip. Contemporary art and Italy both at their best. This deserved more time. 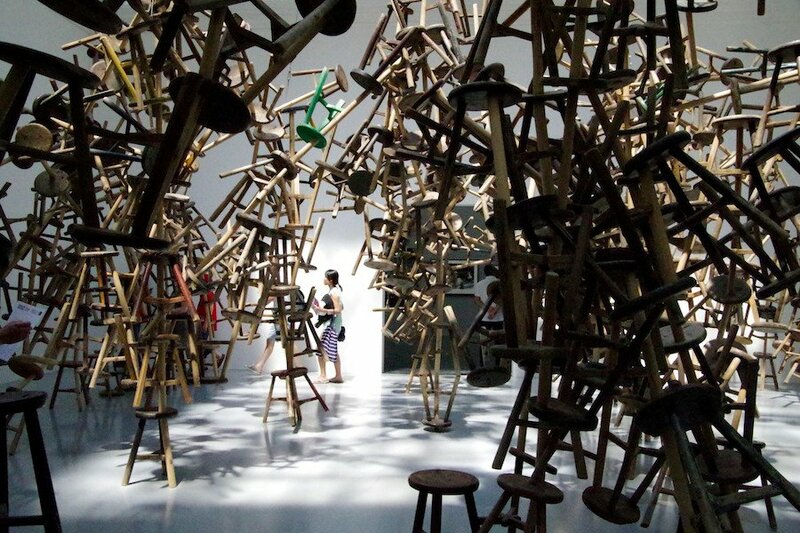 The 55th Venice Biennale runs from June to November 2013. Critically, it's being touted as the best in decades. I don't have a reference point as it is my virgin voyage, but it is the most inspiring four days of art that I have ever experienced, and I've experienced a lot of art in my life. The term "art brat" describes my childhood similarly to that of an army brat, except in my case it was art bootcamp, galleries, museums, and studios, providing a full immersion to the idea of art as life. 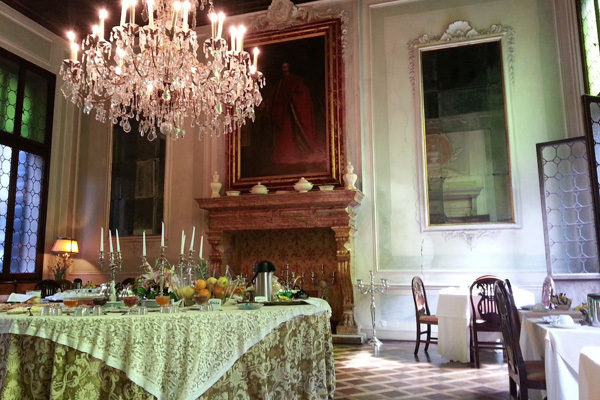 The best exhibit of the show was 's at the stunning Ca' Corner della Regina on the Grand Canal. The exhaustively creative way that the curators, Germano Celant along with Thomas Demand and Rem Koolhaas, pay homage to the original German exhibition is impressive. The current show feels new, providing an as-yet unseen documentation of how the first show came to be and its lasting effects on the art world as we know it today. The Bern show featured Donald Judd, Bruce Nauman, Richard Serra, and Joseph Beuys, among others — long before they were the art world household names. It is an exciting and inspirational story of then-versus-now, and I walked away feeling that everything and nothing had changed. 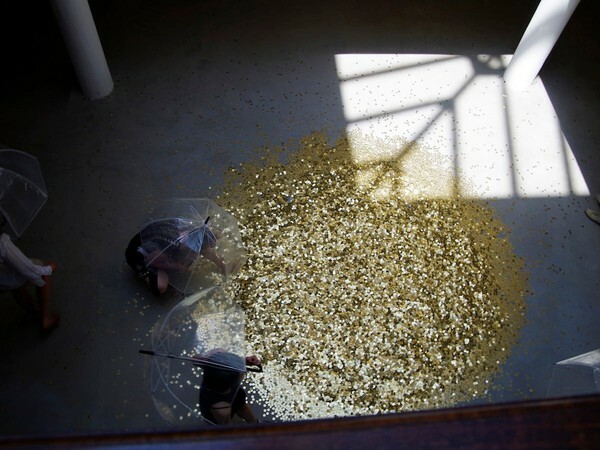 Raining gold coins in the Russian Pavilion at the Giardini. All of it. Especially the pavillions of Argentina, Bahamas, Italy, China, and the main exhibit halls. All of it. The best were Britain, USA, Russia, Korea, and the main exhibit halls. The show at in Giudecca and Church of Sant' Antonin in Castello exhibited 's impressive new solo exhibit. It left me knowing what a great artist he is and dispelling any questions I had about all the hype. It's an engaging and emotional show presented in a gorgeous church right in the middle of Venice. Ai Weiwei's Disposition at Zuecca Project Space. There are tons of other exhibits throughout the city. I found that it was most exciting to happen upon them. Just grab the map when you go to the main exhibits and wander afterward. If you see nothing else, see this. The house is one of the world's great chances to peek behind the curtain of the wealth of generations past. The collection is second to none: Every piece is a perfect example of the artist's work. Peggy was a genius collector. Save extra time for this one — you'll want to sit on the patio on the canal, in the living room, and in the garden, taking in the life that she lived in the home she did it in. Peggy is buried in the courtyard along with her pups. I took a moment to pay homage, and I will never forget it. The Rudolf Stingel show is stunning and unlike any you've ever seen. The Palazzo and the café in the basement are worth a visit. So is the new Teatrino next door, which was recently re-imagined by and is hands down the chicest theater in the world right now. The Korean Pavilion at Giardini. 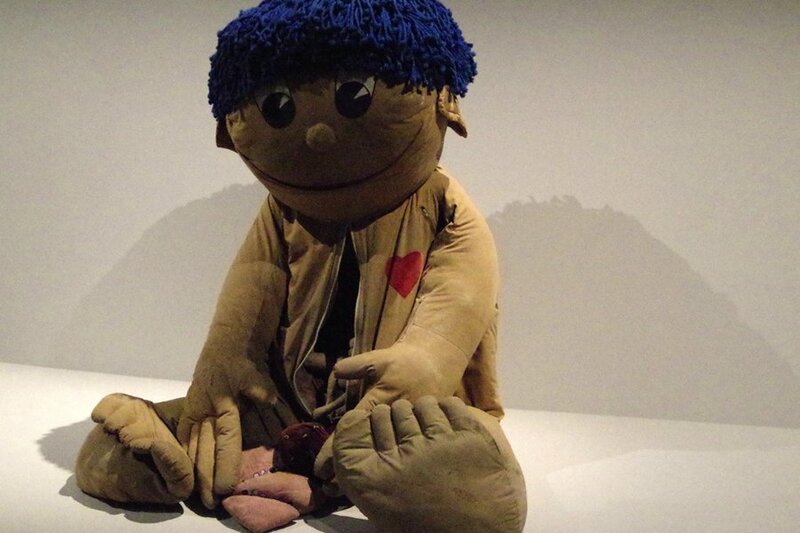 The art in Francois Pinault's architectural masterpiece is contemporary and exhaustive. I felt I was seeing the art of tomorrow. The Sonnabend Collection on view is next to the Ca' Corner della Regina, where Prada is on show. Very worth a stop and a part of your pass. I was traveling alone and the days easily unfolded before me without reservations and plans. Venice is usually a town that requires reservations, but I had great luck just wandering into restaurants and bars — no matter how fancy — and showering them with praise. You'll be wonderfully surprised at the reception it allows you. Order the black ink squid risotto. The legend. For good reason. Have lunch by the pool. There's a complementary boat to the hotel from San Marco. After you've had a morning coffee, go at sunrise. The piazza will be empty, and you'll have the beauty all to yourself. costs just under 40, is valid for seven days, and gets you free admission to many of the city's museums and discounts to most of the rest, including the Biennale. 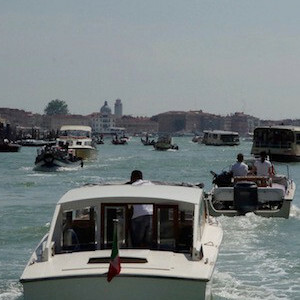 which will allow you unlimited use of the city's vaperetti (water taxis) which are a wonderful way to see the art, the city, and local residences all from the canals. is the official app of the Festival, with maps, guides, and useful information. So much art. Such a pretty city. Take a virtual tour. The gorgeous squid ink risotto at the overlooking the canal. If squid ink is black, why is this white? Because they conceal the ink under the top layer. So when you put your fork in, it's an explosion of deep, rich color. The breakfast room at , where I dined alone in splendor most mornings. The very first photo I took of Venice, from a balcony off of the main sitting room at my gorgeous hotel, . The Grand Canal, which I considered the freeway of Venice, when there's traffic. It's gorgeous and lived in at the same time. The sun rising over Venice. Shot from a vaporetto on my last morning. The ever-chic taxi leaving the hotel to head back to "town." Looking out onto from my hotel room. Six international artists won . The courtyard of the Hong Kong Pavilion. The view through the peepholes at the exhibit at the , an off-side Biennale wonder that left me breathless. A giant sculpture by British artist on display at Fondazione Giorgio Cini on the island of San Giorgio Maggiore. Stopping to pay homage to Peggy Guggenheim and her "babies" (or puppies), who are all laid to rest in the courtyard of her amazing home on the Grand Canal. If there is only one musuem to see in Venice, is it. Massive canvases on display at as a part of the exhibit. Jeremy Deller's show-stopping installation at the . He wins in my book for offical Biennale exhibits. Hanging out in Kimsooja's To Breathe: Bottari at the . "Hey, mister, please don't fall," is all I could think when I saw this. 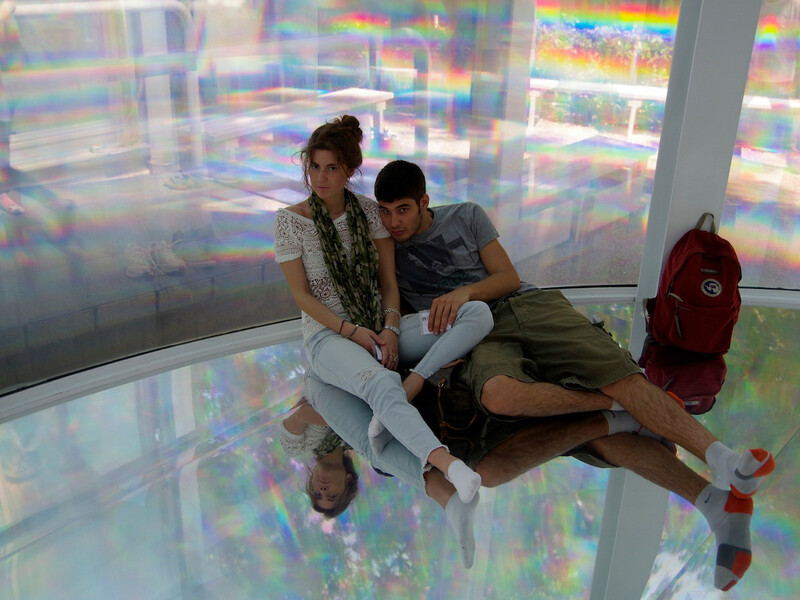 Part of the Russian Pavilion at the Giardini. At the Russian Pavilion at the Giardini, it rains gold coins. You can even keep one. Engaging in one of the many multimedia and video presentations, this one at the South Africa Pavilion at the Arsenale. A fun outdoor exhibit by Dutch artist Erik Van Lieshout, which you can interact with at The Encyclopedic Palace. Bring snacks and cocktails and take a seat. Giant metal circus-like structure at the Italian Pavilion at the Arsenale. of giant metal rods in a huge space, a striking transition from the pavilions to the main hall at the Arsenale. A piece from the show of new and unknown artists curated by at the Arsenale. Geren is an entrepreneur, global nomad, and the founder and creative director of Geren Ford. You can follow her on Twitter at . She travels for the inspiration.